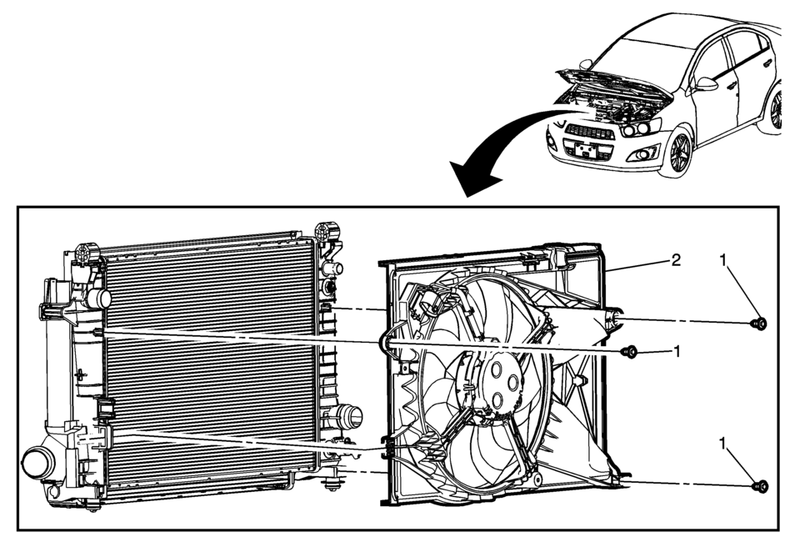 Remove the radiator surge tank outlet hose from the engine coolant fan shroud and position it out of the way. Remove the front compartment front insulator cover. Refer to Front Compartment Front Insulator Cover Replacement. Engine Cooling Fan Shroud Assembly.